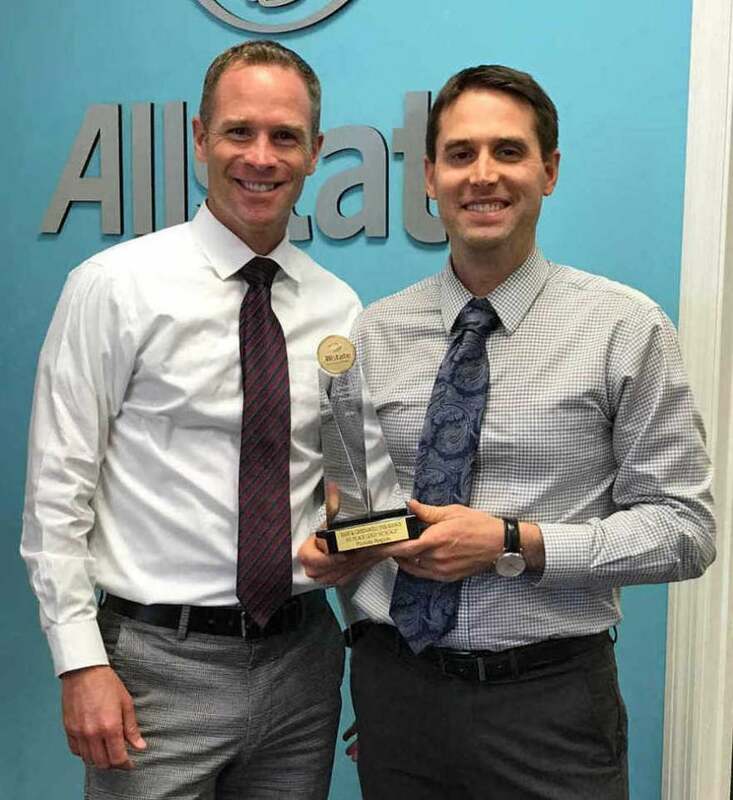 ESTERO, Fla. - March 6, 2018 - PRLog -- East and Greenwell Insurance has been awarded Allstate's "Agency Achievement Award" for the third consecutive year. The prestigious award is Allstate's highest regional award and honors a very select group of only 54 agencies out of more than 10,000 nationwide. The award is based on previous year's business results, as well as top customer satisfaction and retention measures. "Compared with other large agencies in the state of Florida, we had the highest percentage of customers who renewed policies with us in 2017," said Kevin Greenwell. "Our experienced team has done an extraordinary job of taking good care of every customer equally—and this award three years running is a true testament to their dedication to our customers, hard work and achievement." For the fifth consecutive year, East and Greenwell was also named an Allstate "Inner Circle Elite" agency for ranking in the top three percent of agencies nationally in auto, property and commercial insurance and financial services. East and Greenwell Insurance Agency is a bilingual insurance agency that was formed by Jeff East and Kevin Greenwell in 2012 to offer personalized insurance services to area residents. Its three offices are located next to Miromar Outlets at 20321 Grande Oak Shoppes Blvd., Suite 308, in Estero, FL 33928 (239.434.7877); across from Mercato at 841 Vanderbilt Beach Rd, in Naples, FL 34108 (239.672.4304); and next to Prawnbroker Restaurant at #21 Cypress Square, 13451 McGregor, Fort Myers, FL 33919 (239.603.6362). For more information, visit www.EastandGreenwell.com. The Allstate Corporation is the nation's largest publicly held personal lines insurer, protecting approximately 16 million households from life's uncertainties through its Allstate, Encompass, Esurance and Answer Financial brand names and Allstate Financial business segment. Allstate is widely known through the slogan, "You're In Good Hands With Allstate®." The Allstate brand's network of small businesses offers auto, home, life and retirement products and services in the United States and Canada.